It's important to keep your Mixlr account secure. 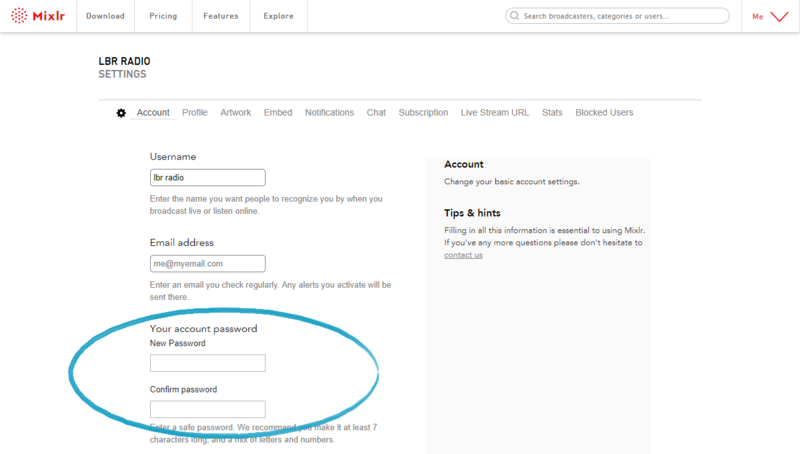 This article will show you how you how to update the password for your Mixlr account. 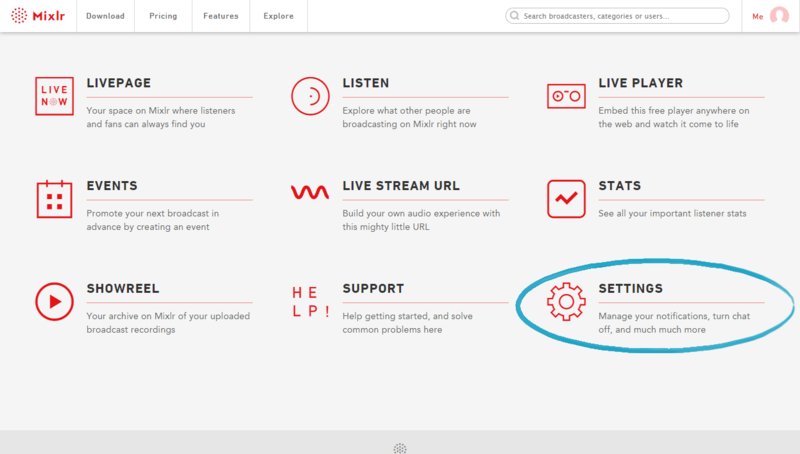 You can find your account settings page by clicking SETTINGS from the Mixlr homepage. 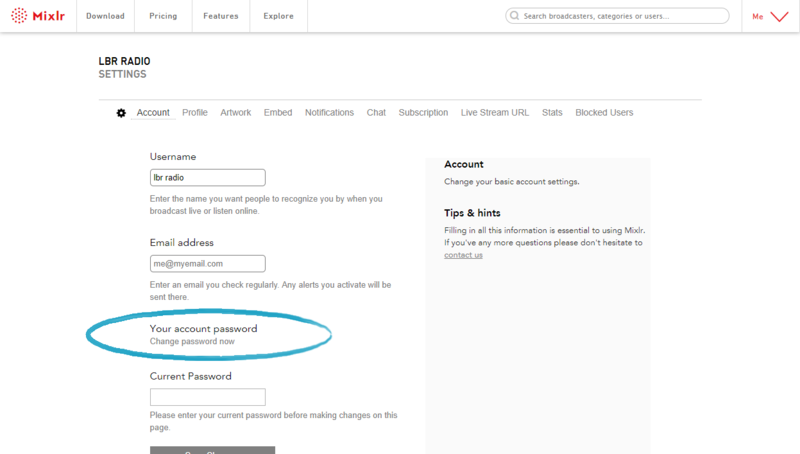 Under the heading Your account password you will see Change password now. Click on Change password now and you'll see the option to add a new password. We recommend you make your new password at least 7 characters long, and a mix of letters and numbers. For security, you will need to enter the new password into the 'New Password' box and then again into the 'Confirm password' box. 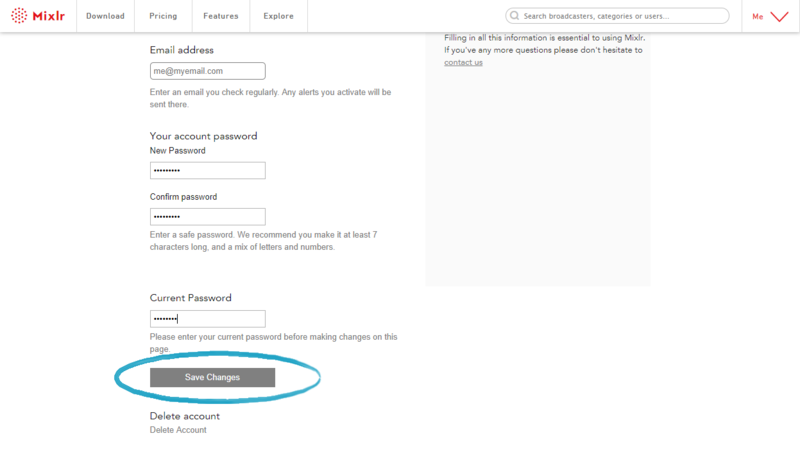 Once you have entered the new password you will need to enter your current - ie previous - password, and then click the 'Save Changes' button to update your password. Click here to find out how to reset your password if you have forgotten it. Click here to find out how to add or change your email address. Click here to find out how to change your username.